Yesterday and today, we've actually been Out! Out the house! Doing Family Things in the outdoors!! Yes folks, we finally managed to get out and about in the fresh air, not once but twice, and it's been brilliant. Brilliant. Yesterday afternoon, despite the rather gloomy grey, cold weather, we made a spur of the moment decision to walk down the hill, along the canal to the station, get on a train, ride along the line to the next stop and get off again. The train ride itself took less than ten minutes, but it added an enormous amount to the whole experience, especially for our sweet little two year old. Our destination was a small, rural village not far from the Attic where there happens to be a really terrific playground just a minutes walk from the station. The Little People took their scooters, but there was plenty to keep them occupied here. It's a beautifully designed playground inspired by the Yorkshire landscape with large rocks, wooden sheep and tractors to climb on, stone walls to balance along and lots more besides. Such a fabulous thing to watch children at play, I adore to see such boundless energy, such joy in using limbs and muscles to swing, climb, jump, run, slide, spin, crawl, leap, bounce, balance, dig, step. Two hours of fresh air and active good fun, it was great to shake off the indoorsyness that we've been experiencing of late. This morning, after weeks of exceptionally cold, bleak winter weather, we finally saw blue skies and sunshine. After the happiness of yesterday's little outing we decided to head 9 miles out of town to a small National Trust property that we'd always meant to visit (seeing as we are NT members) but had never got around to. This is East Riddlesden Hall, an old, old 17th century manor house. It was beautiful inside, quite informal, even cosy for a grand house. It had beautiful windows. It also had lots of old, old chairs and other valuable furniture and possessions that were scarily at toddler height and not roped off in any way. It was quite a stressful experience taking Little B through the beautifully laid out rooms. He rolled about on the floor quite a lot, and he touched many things that were labelled Do Not Touch. But the house was quite a modest size and we toured it relatively quickly. I physically exhaled with pure relief once we were out in the fresh air again and Little B could go running freely about. I expected more of the gardens, but I suppose it is the middle of winter, and many of the information boards standing beside areas of bare earth told us how beautiful it would look in Spring and Summer. One area that made my heart soar was a small Wild Flower garden where the early spring bulbs were already carpeting the grass. Such joy to see the crocus with their petals flung wide open to the morning sunshine! After such a lengthy spell of freezing grey air here in North Yorkshire, the blue of the sky today gave me an incredible surge of joy. I walked around much of the gardens with my face turned towards the sun, soaking it in, drinking in the rays as if I were parched. I've sooooo missed the sight and feel of the sun in recent weeks. There was a small but lovely playground in the gardens, and for the second day running I enjoyed watching my Little Peeps do their thing. I never tire of taking them to these kind of places, it makes me feel really good just to stand back and observe them. I remember one of my earliest blog posts was about a visit to our local park, it's such an essential part of life with children isn't it? And seemingly stripy tights are the outfit of choice for Park Visits, some things don't change much. After all that outdoorsy stuff, it was rather nice to come inside and enjoy this cosy National Trust cafe for a spot of lunch. We are normally a family of picnickers, but today J declared he would treat us to an indoor lunch, and it was a really nice treat. Sandwiches for the Littlies, homemade soup and crusty bread for J and I. Frothy coffees, apple juice and a generous slab of cake to round off. I'm enjoying this holiday from routine very much actually, despite the rather moochy start. Tomorrow...........well tomorrow is Hooky Day for me, yaaayyyyyyyyyyy!!!!!! I've (hopefully) secured time to work on the Happy Flower for you, well that's to say that I've arranged for Little B to be taken out with his wonderful grandparents so he'll at least be out of the equation for a good part of the day. I'll still have J and the Little Peeps at home, but they've been told in no uncertain terms that Mummy/Wifey will not be available for normal Mummy/Wifey duties. We shall see. Keep your fingers crossed for me! Where is that wonderful park??? Your photos are beautiful! I love all of it! Have just found your site and as a crochet novice was happy to be able to make my first flower. Looking forward to visiting your site to attempt another project. it is so joyful,refreshing and calming to come see your talent and to read your lovely words. You are an inspiration and I appreciate you! Thank you for sharing. Penny, Colorado, U.S.A.
Lovely! We escaped Leeds and ventured out to the seaside this week and had the best time. You do make Yorkshire look lovely. Thanks for sharing. I have always wanted to visit the UK. I homeschool our girls and someday we will bring them over for a visit. I love the architecture. I also love the beautiful purple flowers. I think we are going to have an early spring here in Wisconsin and I cannot wait to get out in my garden again! Blessings to you and your family! I'm glad they have come out! You are lucky to live in a dream! Really pleased you had some nice days out. Hope the February air blew away the cobwebs! Fabulous playground. Train rides are such fun for little ones, even short ones, your half term hols have been exciting. Love East Riddleston - I visited last year, about this time, and the gardens were similarly a little lacklustre, but I'm sure they grow :) Did they still have the collections of embroidery there - highlight of my trip! I just stumbled upon this by googling how to poach an egg without a poacher! And I just want to say God Bless from Louisiana! We are in the process of celebrating Mardi Gras here ! So much fun! Many more happy days to you and your family! Lovely post of your trips out. Yes the weather has been a little bit better. Going back to your "poached eggs" post. i made myself a PE on toast this morning for breakfast a la attic24. And i was perfect and yummy. Looks like you've had two marvellous outings. Hope your Hooky Day is coming along just fine! Don't forget to tell us all about it ;-). Lucy-looks like you guys had a fabulous day! That's one of the many things I miss about England- all of the manor homes and such! I could go through one everyday and not get bored. You are so lucky. Hopefully the weather holds out for the rest of the week. Have a good one! Wow I keep thinking that your page is great, I just feel so good every time I see all the colour you have in all you do, I hope one day I´ll be able to go back to visit your marvelous country, I would love leave there, hope one day you can send me a private mail and can be web friends and you could share some photos of your country with me, so I could remember the time I spent there in the past. All good look from Tenerife and keep sharing your crochet work. It's a great feeling to get out in the fresh air, and when you do you realise that there are signs of spring all around which lifts the heart even more! Enjoy your day of hookiness. Wonderful post Lucy....so great to be able to hop on a train to a nearby village to a super play park...over here in N.Ireland we have very limited trains....we would have to travel for 3/4 hour to get a train. Once a year we travel from Belfast to Londonderry on the train, just for the journey....the scenery is very wonderful, we would have a couple of hours in Londonderry to walk the walls and have a bite to eat (if I didn't bring a small picnic)....and then home again...it is so relaxing travelling by train. Wonderful crocus...thanks for sharing all of this. 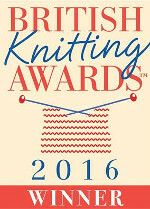 PS well done on 'winning' the Inside Crochet magazine blog award...No 1! I was beautiful here in the south yesterday too, really felt like Spring was on the way, and still light after 5pm too! Well....just! Absolutely beautiful photos of the English country side, I really want to go there on hols. Spring is on its way!